Ok here's my pumpkin. For everyone who does not know about this contest, you have 1 day left. Winner's will receive gift certificates for Ki's great online store. click the button below. Update: you can now enter to win, without creating a pumpkin. Read all about it here. Here's how she started out. After bringing out my entire stash of junk to my barn, I laid it all out and began to think. Here's what I came up with. My gal is getting ready for her big night. Curlers in her hair. This was really fun, and I encourage you to do it. What a fun idea for a party too. And since I'm showing my fall decorations, Here's what I did with that basket I picked up on the Hwy 80 sale. don't forget to enter the wonderful bag giveaway that Ki is having, read the post below for all the info. Contest Closes at 7:45 on Nov 10th. Junk Revolution will launch it's on-line store November 10th. To celebrate, Ki is having a great give-away! Since she is so busy getting the web site up, she's asked me if I'd manage it. 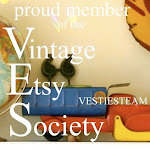 One of the products that Ki will be offering in her on-line store, are wonderful hand embellished vintage Messenger Bags. I just fell in love when I saw Ki carrying one of these bags at the Junk Bonanza. And guess what the prize will be? You guessed it. One of these wonderful bags. Actually you will win the bag pictured below. What do you have to do? It's really easy. Simply respond to this post. The winner of the messenger bag will be chosen at random on November 10th. But wait there's more. If you post on your blog about the contest, and/or add the button below, you will be entered twice and double your chance of winning. So spread the word, and best of luck to all of you. To add the button, simply copy and paste the text below to your side bar. If you are going to be talking about this give-away on your blog, be sure to let me know so I can check it out and add your name again, to the drawing. Stay tuned for more info about Junk Revolution's message boards. Coming Soon! Official rules: To be entered to win the bag pictured, simply respond to this blog post with a comment. To be entered again, you will need to notify me, with a comment to this blog post, that you will be talking about this contest, or adding the promotional button to your side bar. Only 1 winner will be chosen at random on November 10th at 8:00pm. The winner will be announced and notified at that time. Winner will be chosen by way of a random drawing. Thank you to everyone who entered my Calendar contest. Picking the winners was really hard, and I received lots of wonderful photo's. Photo's were picked based on subject matter, artistic composition & relevance to the season. I also wanted the photo's to be pleasing to the eye and something I thought you would like to look at, for 30 days each month. Some spoke to me right away, others grew on me. Slowly I began to narrow the choices down to 12 photos that I liked and I thought other Junkers would like. I also asked the opinion of fellow junkers, and my Son the photographer. The winners have been notified and are as follows. If you don't see your name above, never fear, I'll probably do this again next year, so be taking those pics all year long to send in for the 2010 Calendar. I'll be posting a few of the pictures as previews during the week so check back often. To start with here, are one of David's and one of Amy's. Pages are 8.5x11 inches with a spiral binding. As you can see, this will be a beautiful calendar. Order yours today, for 14.50 shipping included within the US. Sometimes I purchase something at a GS because it's a bargain, and "I'm sure I'll figure out something to do with it". I bring it home and it sits in my piles of junk for sometimes, months even years. That was the case of this Candle holder. I figured I'd attach something to the top and make it into a little round table. But that just seemed too predictable. I picked it up one day, and began turning it every which way, trying to look at it from a different perspective. Suddenly I saw this in my head. I removed one of the tri-pod legs, added a finial and a platform, painted, and added the door plate (which covers the mark left by the removed leg) and glass knob and halo. This was a very very easy project and don't you just love how those legs make wings. So if you've got something you just can't figure out what to do with, Turn it upside-down, side-ways and every which way, and see if it speaks to you. Don't forget Saturday is the deadline for the Photo Calendar Contest. click the icon below for information. I have really enjoyed making these Garage Sale pouches. Brn/Pink, Blue flower, Paisley & Dots, Stripe & Dots, Argile & Flowers. I'm now offering them for sale right here from my blog. Each bag is $12.00 plus shipping. Each bag is made from a canvas shell, with a zipper closure, and measures 6x9 with a 20" drop shoulder strap. These bags are great to hold just enough for garage sale-ing, hands free. Your cash, Checkbook, credit cards, sunglasses, phone and keys all fit nicely inside. I just keep mine on, buckle my seat belt right over it and hop in and out of the car, lightning fast. Each bag is covered in fashionable, vintage inspired fabric and embellished with various trinkets. Some old, some not. I use old keys, vintage jewelry, and various other metal items. I will also sell bags without embellishments, if you wish to add your own, for $10.00 ea. The picture shows the current fabrics I'm working with. The 3 on the left are finished, the 2 on the right, are "in process". If you are interested in getting one for yourself or a friend, click the buy now button. Shipping will be 2.50 for up to 3 bags. I accept paypal and money orders. Use the Buy now button below for paypal. If sending Money order please email me. Also please make a note with payment as to which color combination you want. Great as gifts for your junkin' friends too. I know everyone is busy, but I wanted to remind you of 2 great contests going on right now. The first is my photo contest, and the deadline for submitting a photo is Saturday. This coming Saturday the 25th. Winners will be added to the Junk Calendar I'm making up for 2009. The second is from Linda of Restyled Home, and this one is a lot of fun. She's doing a pumpkin decorating contest. Prizes are gift certificates for Ki Nassauer's new Store at JunkRevolution.com. Right now there is a high chance of winning, as both of these contests have gotten slow response. I guess everyone is very busy. Be sure to mention the pumpkin contest on your blog to be entered a second time. I'll be revealing my pumpkin later this week. DH is such a trooper. He goes junking with me, just to be with me. This weekend is the Historic Hwy 80 sale. When I told him about it, he said, "I can't go Friday, but we could go on Saturday" so off we went this morning around 10:00. First we drive to Gladewater, which is about 30-40 mins, Then after shopping in the multitude of shops there in the city, we head west, towards Mineola. Normally a 30 minute drive. But along the way are dotted Yard sales, Garage sales, and just junk sales all along hwy 80. I prefer the junk sales myself. It's a lot of driving, stopping, looking etc. finally around 3:00 we get to Mineola. We continue aways past that city and hit a few more sales and then head home. Another 30-40 minute drive. He drove the whole way, carried heavy stuff, and waited in the car like a real champ. He didn't always wait in the car, but if the sale looked as if there were no Mantiques, then he'd wait for me. Thanks R for putting up with my obsession. That tall yellow basket is a tennis ball picker-upper. Ever since I passed one up in MN I've wanted one. Now I'll fill it with fun fall stuff for my porch. There's also a metal gear, a horn, a yellow enamel trivet, some lamp parts, and a great divide box that you'll see later. And all those pieces of wood are piano keys, both Black and white. The little dress form was DH's idea. "you can do something with that" he said. He has such faith in me. I've got an idea already. also, I found this great old baby carriage, the wheels alone were worth what I paid. Don't worry, It's not slated for demolition, but if it doesn't sell, it might be. The coffee table will be painted and distressed in some way, and look at that wonderful metal carrier. Christy, are you drooling yet. Those star shaped things are sprinklers, I think. I got 3 of them. This is that great divided box. For now it will hold tools, and supplies in my workshop. Someday it might be sold. It's taller in the back than in the front and slants downwards. I just think it's wonderful. Especially with my continuous quest for organization, and my desire to stop knocking things off my work bench. Most of these items are for sale except the tennis ball basket and the divided metal piece. Please inquire if you are interested. In Addition to junking today. On our way up to gladewater I saw a sign that said "sky diving". I thought to myself, "who would want to do that, Doesn't sound too safe". About 1 1/2 later my 22 yr old son calls me and says. "guess what I'm doing today?" "what" I say. "going skydiving" is his reply. Turns out he was going to do a story on it for the college paper, and they had an extra spot. It was a tendem jump, so training was minimal. The paper paid for it, so off he went. Needless to say I was nervous all afternoon, but he landed safely, got his pic taken in the air, and has a story to tell. Before he went up, I reminded him how hard birthing him was, and that I really wanted him to go on for a bit longer (joking of course). Well I'm glad he landed safely on the ground and hope he doesn't do it again. Will have a pic for you soon. Many of you may remember one of Ki Nassauer's Country Home projects from a couple of years ago. Well to launch her new web site she's having a contest/give away. You can go to Linda at Restyled Home's blog for all the details. This will be a show-n-tell and a contest with great prizes. Basically, you'll need to dress up a pumpkin with junk. I'm gonna make a pumpkin and you should too. Here are a couple I saw at the flea market earlier this month. This should be fun, so go to Linda's Blog and sign up. And as if you are not busy enough, entering photo's in contest. I NEED more pictures for my Calendar. Don't be too pickey and think your pics "aren't good enough". I only have about 4 entries so far, so your chances are real good. Just start shooting and send em in. Deadline is the 25th, Next Saturday. Read all about it by clicking the icon below. As much as we need the rain here in NE Texas, it was not welcome today. It's never welcome when a big sale is happening, but, sometimes it comes anyway. Despite the down pour, shoppers came out for pre-view night at the Gresham Barn Sale. She hung my various wall pockets inside larger frames, love it!!!! 2 unusual hymnal pockets, a pipe mold, and a "wreath easel"
Watch for projects with all of it. Be sure to come out for shopping Thursday, Friday, and Saturday. There's lots left. The Gresham Barn sale starts Wednesday evening, but drop off day was on Saturday. I've been busy pricing, cleaning and organizing my stuff to take to the sale. These were a hit at my sale 2 weeks ago. I made and sold 2 and could have sold many more. So I made some more. I saw this idea at the Junk Bonanza. It's a pretty easy project, and a great way to get rid of those old game boards. I also sold out of these. These little Faucet Chandie are hard to photograph. I've made 6 for the Gresham sale. If you live in East Texas, don't miss it. These Gal's put on a great show. I was able to snap a few pics on drop-off day. And this is only a small amount of what you'll see.